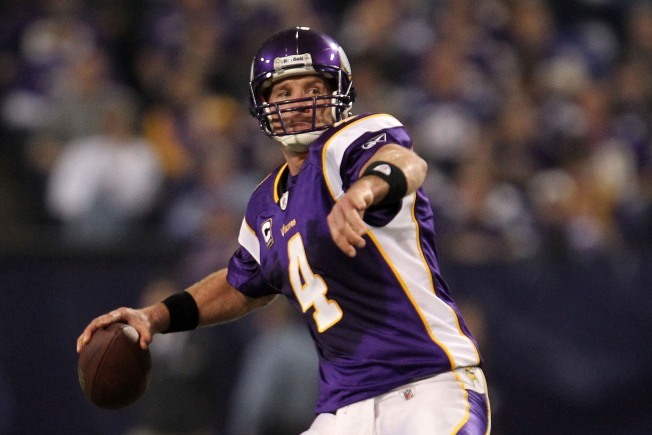 No playoff quarterback is playing as well as Favre, who's thrown for 25 touchdowns compared to just five turnovers since Week 8. As the teams prepare for the NFL championship games this Sunday, which areas of their teams are strengths or weaknesses or neither? Here's a breakdown of six key areas and the most important player involved. Thomas is the Saints' workhorse when healthy, but bumps and bruises have limited his effectiveness. He played through cracked ribs and a sprained ankle en route to just 52 yards on 13 carries in the divisional round. Against a stout Vikings interior defense, New Orleans may lean more on "satellite back" Reggie Bush, who has the hot hand after dropping 84 yards and a touchdown on Arizona. He can beat Minnesota's slower perimeter defenders to the edge. Weakness. The Vikings' pass defense dominated Sunday's win over Dallas, holding previously red-hot QB Tony Romo under 200 passing yards. Brees, however, gets rid of the ball more quickly than Romo and won't play into the hands of Minnesota's deadly pass rushers. Willing to take what the defense gives him, look for Brees to open with a short-based pass game. Successful execution could frustrate the Vikings' front four, cause them to take plays off, and open up deep-ball opportunities. Strength. Ellis' health was in question after being slowed for much of the season's second half by knee troubles. The defensive tackle answered by rejoining the starting lineup in Saturday's drubbing of Arizona, sacking Kurt Warner once, and playing stout run defense. After Tim Hightower ran for a 70-yard touchdown run on the first play from scrimmage, Arizona averaged a paltry 2.21 yards per carry. The Saints will gain a sizable edge if they similarly bottle up Minnesota's Adrian Peterson. Neither.